Have you ever heard the idiom, “I am up to my neck in alligators” before? I personally think it sounds kind of funny, but when you look at the full expression it makes a bit more sense. This truly captures how I feel about the season we are in right now. 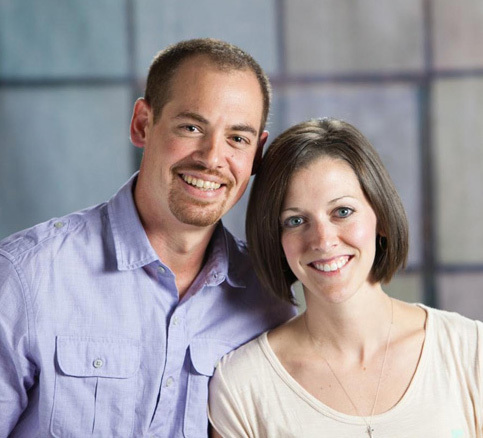 With running our own businesses, homeschooling our kids, Leigh Ann eight months pregnant, and with me taking seminary classes, things are definitely a bit chaotic. Without seminary, the list is pretty typical, but add in graduate level classes with hundreds and hundreds and hundreds of pages of reading, studying, and paper writing, and it gives me a headache just thinking about where the time is going to come from to accomplish everything. If I am honest, I battle anxiety about it almost daily. It is easy for me to be lost in my head with all that is on my plate, and this has the potential to wreak havoc on my family. By God’s grace I am aware of the struggle and this season provides me with regular opportunities to remember God’s love, power, and grace. I daily get to make the choice to lean in hard on Him to sustain me and provide for me and my family all that we need. This season is instilling in us a deep understanding of God’s control of all things. While not many of you reading this are in seminary, I bet you have similar alligators you are dealing with. The things in your life that are constantly fighting and nagging for your attention. The source of your overwhelming to-do list. 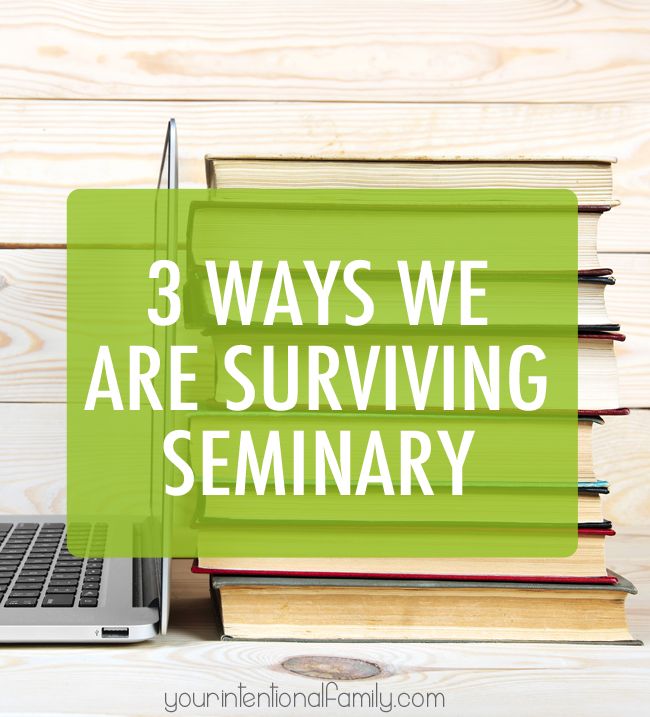 So I wanted to share with you 3 simple things Leigh Ann and I are doing to survive seminary, in the hopes it can encourage you through a difficult season you may be in. In the midst of it all life can become a blur, and all the moments pass like a summer storm. In this season we are focusing on being intentional to connect with one another in the mundane moments of life. In the simplest form, this means intentionally looking each other in the eyes and “noticing one another” when passing by during the day. It amazes me how much less burdensome it is to do the dishes or cook, when I am choosing to just enjoy the presence of my wife. In that moment I can’t do anything about school or work, so I am learning to be present in the moment. Leigh Ann is much better about this, and reminds me often with love, that it is these little moments that mean the most to her and the kids. The same goes for both of us with the children. Taking the time to connect with them in the simple moments of life, and taking advantage of every opportunity to make them smile, laugh and see that living for God’s glory is not a burden but a full life. They too need the reminder that they are loved and important to us. The most incredible thing happens when we are faithful to make the most of these little moments together to connect. The desire grows to make bigger moments happen, and find time to make togetherness a priority. It makes putting all of the overwhelming task in their proper place a lot less stressful. Plus there’s more laughter. Laughter makes everything easier. Intentionally connecting with one another in the mundane, puts the bigger picture into perspective. Communication is so important in this season. I can’t assume Leigh Ann knows all of the details of what is on my plate, or that I know what is on hers. Learning to listen and serve each other in this season with so much on our plates is an incredible opportunity to learn selfless service. 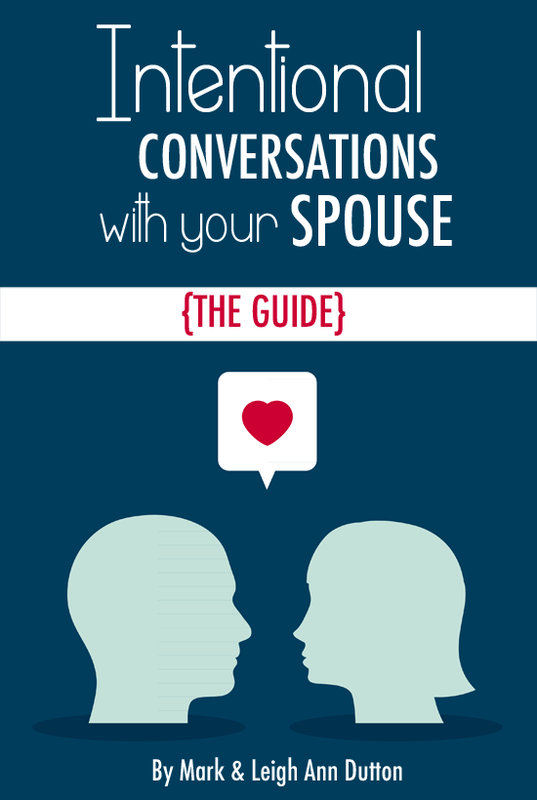 In the midst of the chaos, Leigh Ann and I are taking extra steps to clearly communicate and make the “best decisions” together so that neither of us overlooks the most important things. When I feel cornered by time, my natural inclination is to go into self defense mode and make sure I get what I need to get my stuff done. What I have found is by asking Leigh Ann first what her needs are, then sharing mine with her, that we can then work together to figure out a plan to make sure the most important stuff gets addressed. Two minds really are better than one, especially when they are not tainted by selfish ambitions. Lastly, we are working hard to avoid placing expectations or a burdens on each other that don’t belong there. The easy thing for me to do is expect Leigh Ann to accommodate all my alligators. The same goes for her, in that she can easily be frustrated or overwhelmed by our circumstances, and how much time I need to get my work done for seminary on top of everything else. When this happens, we most always get disappointed in the end. On the contrary, if we both start by standing before God as the provider, and the one who meets our needs, we are free to love, serve, and encourage one another. Lifting each other up and spurring one another on to the call God has placed on our lives. For us this means praying both together and individually, reminding each other that we are for one another, and ultimately trusting in God’s plans and His control. We are resolved to stay in this place, regardless of how it may feel in the moments of this season. The truth is that He is so faithful! Each week the mountain of tasks seem impossible, but each week He shows up with love, grace, and provision. This season brings a lot of challenges to our marriage and family, but by God’s grace and some intentional effort we will keep our eyes on our why, and not lose site of how we got here in the first place. We will keep reminding ourselves that all of this is so that as a family we may know God, glorify Him, and be able to live a life worthy of the calling He has given each us. We would love to learn from your experiences too. Leave us a comment below. 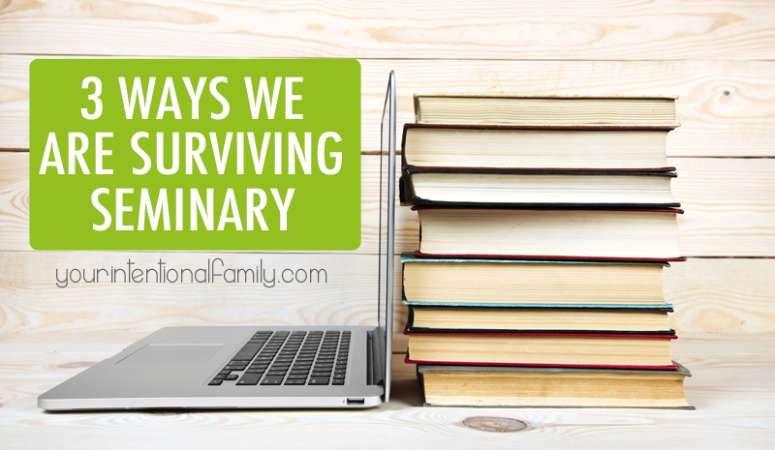 What is your “Seminary” situation right now? That is, what aspect of your life is the source of overwhelming task that tends to overshadow your why? 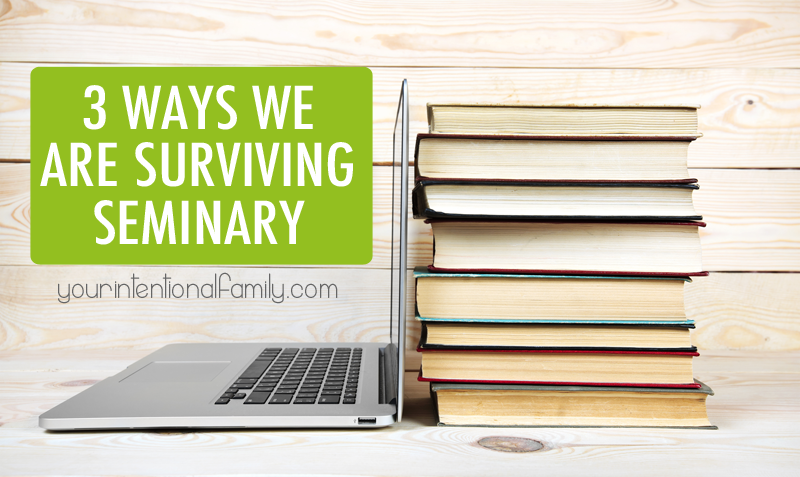 What are you doing to “survive” this season? So much work, a lot of late nights and sometimes early mornings. But oh so worth every minute. God bless you in your venture. Brings back good memories for me. My husband graduated in 1989. Blessings to you and your family. Lou Ann, thank you for your encouraging comment. A lot of late nights indeed! It has been a rich experience already though! Blessings to you and yours also!